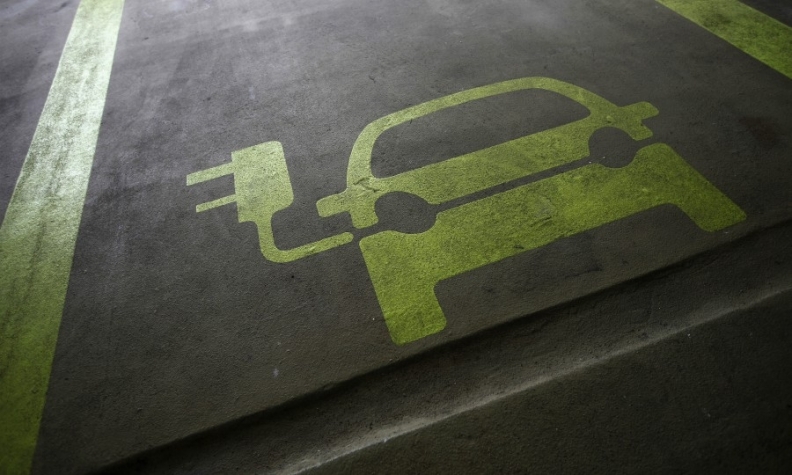 LONDON -- Royal Dutch Shell is linking up with BMW, Daimler, Ford Motor and Volkswagen Group to expand its electric-vehicle charging business in Europe as it prepares for life beyond oil. The second-biggest oil company has agreed with Ionity -- a Munich-based venture between the four automakers -- to start charging stations in 10 European countries, Shell said on Monday. The agreement builds on Shell's acquisition of Europe's largest EV charging provider NewMotion last month. The deals come as the oil industry goes through a critical phase in its history, with the dominance of gasoline and diesel challenged by the need for cleaner energy. Earlier this month, Ionity said it plans to build a pan-European network of 400 fast-charging stations for EVs by 2020. Markets including France, the UK and China are talking about phasing out the sale of fossil-fuel-powered cars in the coming decades, and major energy companies are looking to adapt. Shell and Ionity will initially have charging points at 80 of Shell's biggest highway fuel stations, with an average of six posts in each. It will take five to eight minutes on average to charge an EV at these points, Shell said. Shell opened its first rapid-charging point for EVs at gasoline stations in the UK last month. The company wants 20 percent of profit margins from fuel sold in its retail forecourts to come from vehicles that don't burn diesel or gasoline by 2025, John Abbott, the top executive of its downstream business, said in September.